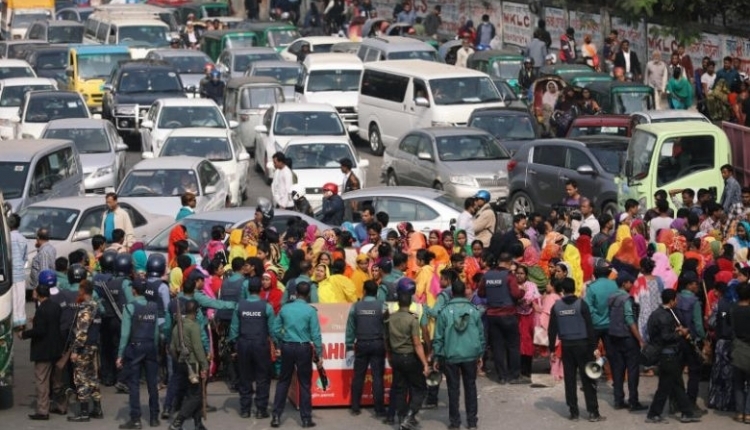 It has been a week since RMG workers went on strike in Bangladesh demanding higher wages and improved working conditions. Workers have since been confronted with violence from authorities. Although the government has finally agreed to increase wages, it is important we hold them accountable. Furthermore, Factory owners have now sacked hundreds of workers for demonstrating their rights. The abhorrent treatment of RMG workers –some of the lowest paid workers in the world- is utterly deplorable and deeply shameful. According to the Accord on Fire & Building Safety, the right to the freedom of association, increased wages and improved working conditions were all identified as priorities. This has clearly not been the case since the Rana Plaza disaster in 2013. We, the undersigned, call on the Government of Bangladesh's Ministry of Labour and Employment to intervene to ensure factory owners retract their unfair decision to fire workers and to ensure the demands of the workers are met with regards to increased wages and improved health and safety conditions. The Support for Bangladeshi Garment Workers petition to Ministry of Labour and Employment, Government of Bangladesh was written by BYSJ Toronto and is in the category Employment at GoPetition.